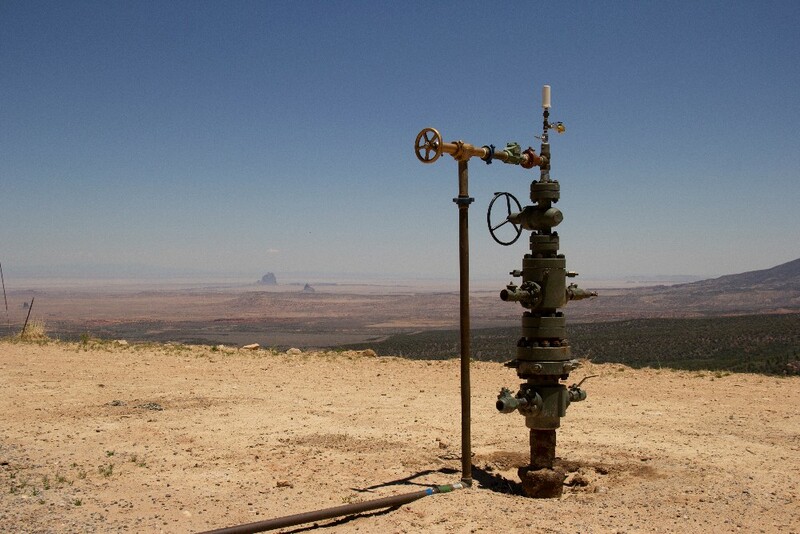 An oil well head overlooking Red Valley and the Shiprock peak in New Mexico. It's designated as an actively producing oil well, yet it hasn't produced oil since August 2015. Someone from Orlinda Benally’s family has come to the Chuska Mountains to graze their sheep in the shade provided by the aspen and pine trees every summer for longer than she can remember. They come to graze their sheep in the shade. Forty years ago her parents built a snug wooden cabin and a corral. The black bear that range in the area don’t bother the sheep – Orlinda’s mother, Sally Benally, has a special way of speaking to them in Navajo and they stay away – but this year, despite the heat that bakes the valley and burns the skin on the back of a person’s arm, the Benallys may not come up to the mountain. There is something that scares them far more than the bears. Sally and Nelson Benally, both 84 years old. This well, owned by Capitol Operating Group, was drilled in 1967 but hasn’t produced any oil for well over a year. It is one of 10 wells near the Bennallys’ cabin that are no longer active but that concern the family. When Orlinda Benally was growing up and the wells were pumping oil and gas, she said, “the air used to be fresh fresh fresh. Now it smells,” she said and laughed, which is a habit of hers, to laugh at the hardest things. Down below is a valley and “the air just blows all around and people are feeling sick.” She and her neighbors also worry about the pipelines that snake atop the dirt, some lengths crushed by rocks, their insulation ragged and frayed; most critically, they worry about their water. It used to come out of a spring in the mountain, sweet and clear. There are times now, neighbors say, when it runs yellow. In the past year, Diné C.A.R.E., an environmental group run by citizens of the Navajo Nation, has contacted the Navajo Nation EPA, the Navajo Nation Natural Resources Department, the Bureau of Indian Affairs and the Bureau of Land Management both in person and over the phone to express concerns about the air and water in Red Valley and to request that the agencies investigate the situation. They have yet to hear a response. Oil and gas prices tanked in 2014 because of a glut in supply. Though the current price of crude is steadily increasing, natural gas remains relatively depressed. In bust cycles operators like to freeze production, waiting for profit margins to increase. Reports by industry, researchers and regulators say the longer such wells stay in limbo, with aging equipment that is less often monitored, the more likely they are to create environmental problems. Unplugged wells create a conduit that can allow hydrocarbons such as benzene, a known carcinogen, as well as salt, heavy metals and radioactive substances to travel. Inactive wells, particularly ones drilled more than 30 years ago, can contaminate both surface waters and those that lie underground, according to a 2013 study published by the Society of Petroleum Engineers. Idle oil and gas wells also emit pollutants into the air. Aside from spewing hydrogen sulfide, a colorless toxin that can be lethal, and ozone, a gas that exacerbates asthma, wells are leaking methane, a greenhouse gas, in such amounts they significantly contribute to climate change. Researchers with Southern Methodist University reported earlier this year that in parts of Texas that are thick with either unplugged wells or old plugged wells with failing infrastructure, the ground is heaving and sinking by as much as 16 inches a year. A softball field in Pawhuska, an Osage community, was closed last year after it was discovered that methane was seeping from an old well, plugged ineffectively in the 1940s. For tribes and tribal citizens, the contemporary issues associated with these old wells are particularly egregious since most Indigenous Americans didn’t enter the energy business with anything close to a full set of facts. “There is a dangerous and flammable and explosive substance lurking beneath your land. We will gladly remove it for you,” says attorney Peter Ortego of his recollection of a document that was written early last century to the Ute Mountain Ute Tribe. “The letter was all about wasn’t it great this company was doing us a favor and wow they’re even going to pay us something.” The Bureau of Indian Affairs negotiated the settlement and, as was typical of many original Indian oil and gas leases, Ute Mountain had little or no say about the terms of development. Such treatment of tribes was commonplace. A warning sign near where the Benally family has grazed their sheep for generations. The federal government allowed operators to self-report the amounts pumped, leading to widespread misreporting. Court documents have revealed that for decades operators working on tribal lands lied about the amount of oil and gas they extracted, thereby greatly underpaying their royalty payments to tribes. Throughout the 1970s, oil tanker trucks would routinely fill up on black gold on Wyoming’s Wind River Reservation without reporting; some people who witnessed the theft were shot at while drivers sped off. An investigation by The Arizona Republic in 1987 found that between the years 1979 and 1986, a federal system that allowed oil and gas operators to report their estimated production based on an honor system, was costing U.S. taxpayers and Indians an estimated $5.8 billion in royalties. Koch Oil was accused in a 1989 investigative report by the Senate Select Committee on Indian affairs of “fraudulent mismeasuring,” ultimately stealing more than $31 million worth of crude oil from several Oklahoma tribes. (Charles Koch claimed oil measurement “is a very uncertain art…And you have people [measuring] who aren’t rocket scientists…” Koch Industries gave a statement to ICTMN in 2014 that “no oil was stolen.”). In 2010 the Obama Administration charged BP America Inc. $5.2 million after Southern Ute auditors discovered that the oil company had misreported its natural gas extraction for at least 29,949 days. The U.S. Government Accountability Office has found consistent evidence in recent years that Interior’s management of tribal energy resources is inefficient and ineffective. Of the 14 recommendations made in three different reports between 2015 and 2017, two have been implemented and one is no longer relevant. When it comes to managing inactive wells — ensuring they’re not polluting and that they’re being plugged or produced in a timely fashion — the record is similarly uninspiring. The Bureau of Land Management, responsible for monitoring oil and gas wells on most tribal lands, requires operators to file paperwork after letting a well sit idle for more than one month. Yet in 13 of the 33 field offices surveyed by the GAO for a 2011 report, agency staffers recounted that they either didn’t conduct any reviews or didn’t know the number of reviews conducted to determine the number of idle wells. In 2012, the BLM created a policy meant to reduce the number of idle wells and yet according to two reports issued earlier this year by both the GAO and the Interior Department’s Inspector General, implementation has been ineffective: the database used by field officers to identify idle wells is inaccurate and the agency still has no clear strategy to review idle wells. What is clear is that the agency isn’t effectively ensuring that companies plug and clean up inactive wells as soon as they are required. On Utah’s Northern Ute reservation, as of 2014 there were at least 162 wells that hadn’t produced oil and gas for at least 10 years, according to an InvestigateWest analysis of data obtained by Public Employees for Environmental Responsibility under the Freedom of Information Act. Forty percent had been inactive for more than 20 years; one hadn’t produced any oil or gas since 1979. In the state of New Mexico, based on the limited available state data, as of July there were at least 206 inactive wells on tribal lands, which include the Jicarilla Apache Nation and parts of the Ute Mountain Ute, and Navajo Nations. There are at least 209 idle wells on Colorado’s Southern Ute reservation, according to publicly available data provided by a tribal staffer. 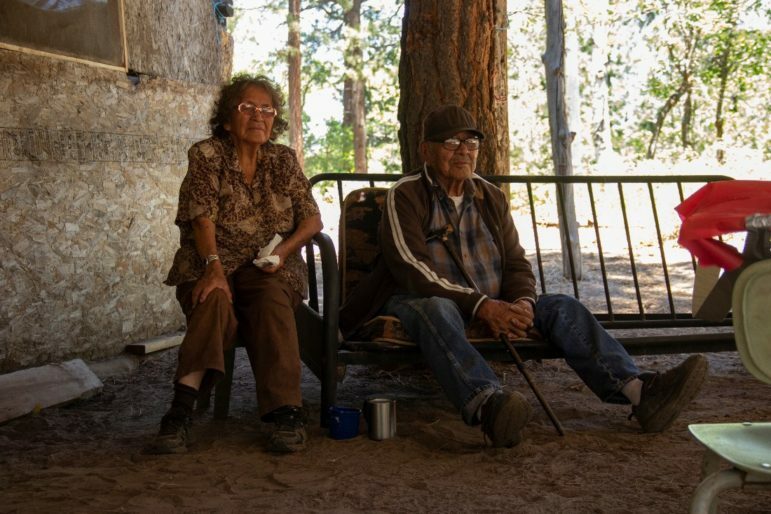 According to state data, there is a well on tribal land in Colorado that has been designated temporarily abandoned for 59 years and a handful of others that are more than 20 years old. 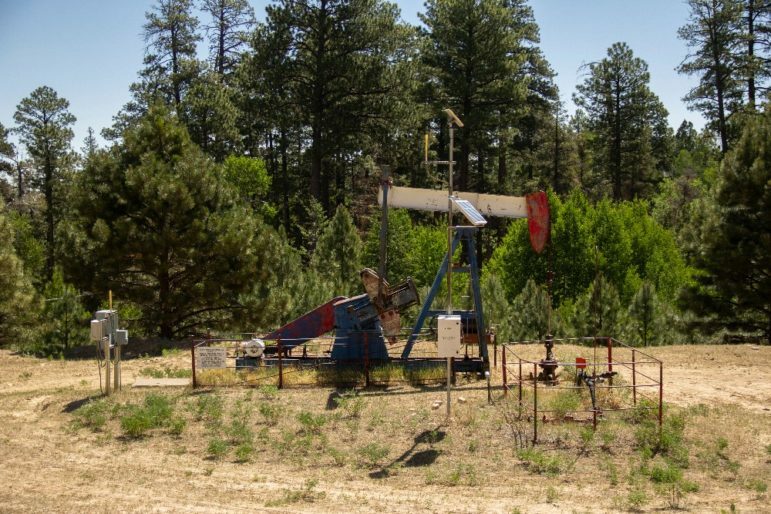 BLM has told federal auditors that with limited staff, the agency routinely prioritizes processing drilling permits over monitoring and encouraging companies to plug and clean up old wells. A field officer responsible for monitoring tribal oil and gas wells in the West, who spoke on a condition of anonymity, reports that of the more than 1,000 wells he’s charged to monitor, he gets to less than 15 percent in a given year. Wells, particularly those in places like Red Valley, which are isolated and hard to reach, can go several years without inspection. Active wells on the other hand are regularly visited by oil and gas employees in the regular course of business. When inspectors do visit inactive wells, they aren’t required to conduct routine air, soil or water quality testing, relying instead on sight and smell to determine if an inactive well is leaking methane or other contaminants. Since reporting problems requires additional paperwork and time, time they typically do not have, officers often have to make difficult choices. This failure of the federal government to regulate industry has serious consequences, and not only of the environmental and public health variety that the people in Red Valley are worried about. The longer a well sits idle not producing oil and gas, the more likely it is that an oil and gas operator will go bankrupt or disappear before cleaning up their mess, and when that happens, guess who ends up holding the bag? In the northwest corner of the Ute Mountain Ute reservation, approximately 80 miles north of the Benallys’ cabin, is another old rusted pump jack, folded in on itself, unmoving. Nearby, sitting in the shadow of pink mesas, their tops stacked liked bared teeth, are five tanks, a water pumping and injection system, a road, and three well pads of scorched earth, baking under the hot sun. Families like the Benallys have relied on the land to graze their sheep for generations. Though no Ute Mountain citizens live nearby, cow patties are scattered throughout the pad and along the dirt road, evidence that livestock range throughout here. Tribal members hunt elk and deer here in the fall. Critical groundwater resources pool deep beneath the ochre soil; East McElmo Creek, dry as dust today, will surge to life when it rains, carrying some contaminants across the valley and into the San Juan River, a major conduit throughout the region. Clow says water and soil samples near these old wells have found hydrocarbons and heavy metals. There are seven abandoned or orphaned wells on Ute Mountain that operators have failed to clean up. Seven may not sound like a lot until you start to do some math. Technically, there’s an insurance policy, left by oil and gas companies in the form of a bond, in the very event that they aren’t around when it’s time to plug the well and clean everything up. But these bonds are regularly insufficient. For example, the bond for one abandoned well site on Ute Mountain, which has a pile of contaminated soil, three tanks, and widespread surface contamination, is for less than $8,000. It cost the tribe more than $5,000 for simply the environmental site assessment. The cost to clean up a well varies greatly based on well depth and landscape, ranging across 13 states from $630 per well in Missouri to $700,000 in Pennsylvania, according to the journal Environmental Science & Technology. Study authors said the costs varied so widely in part depending on well depth, but other factors were less well understood. Costs associated with reclamation around the well site can also run up a big bill: it cost $143,928 to remove two well pads and two access roads in Colorado, the same journal stated, citing monthly staff reports of the Colorado Oil and Gas Conservation Commission. 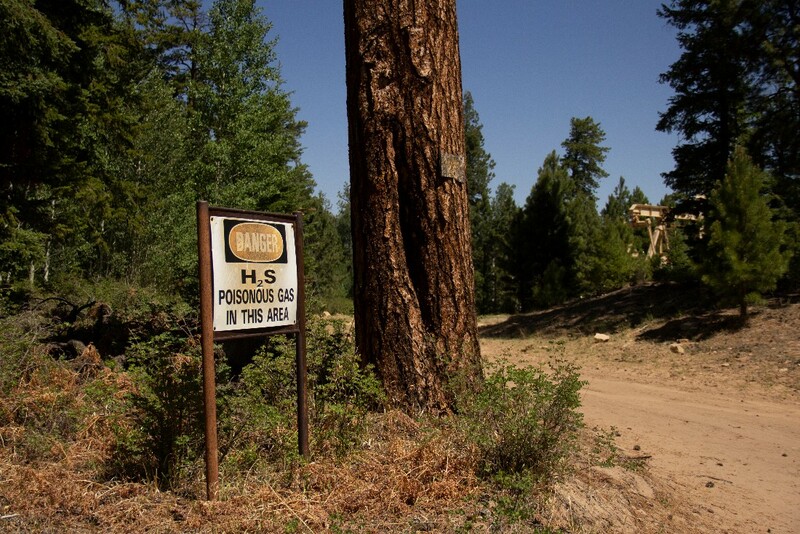 Federal policy enables tribes to raise the bonding rate on their lands to whatever they want. Current bond rates at Ute Mountain and most tribes are now $75,000 per well. Many currently inactive oil and gas well leases on Indigenous land have older bond rates, which were grandfathered in, typically $10,000. Furthermore, federal law allows companies that have more than one well in multiple states to pay what’s called a blanket bond, which covers all the wells they hold within a state or even throughout the nation, at a discount that would be attractive to any bargain hunter: the minimum blanket bonds, having not been updated since 1951, are $150,000. If a company goes bankrupt and walks away from wells on multiple reservations, tribes compete over the scraps of money available to clean up a well. That is if they can find the bond in the first place. Around 10 percent of all individual federal wells don’t have an associated bond account number, according to a 2018 GAO analysis of BLM data; that doesn’t mean there isn’t a bond, but without the number, it’s difficult for the agency to track it down. And BLM has no plan for how to pay for plugging and remediating orphaned wells, says the same GAO report. Ute Mountain Ute has been waiting for almost a year for BIA to get a bond released so that the tribe can move forward on cleanup. The EPA lost track of another bond on Ute Mountain and the bond company dissolved the account without the EPA’s knowledge, Clow said. The tribe, like others throughout the country, is strategizing for how to get the job done. To clean up the messes created by these seven orphaned wells, Clow estimates that it could cost the tribe anywhere from $1 million to $5 million, and possibly more. But it’s impossible to know the true price tag until remediation operations are underway. Money spent on cleanups is cash that otherwise could be used to pay for critical services such as education and health care. On the Southern Ute reservation in southwest Colorado, there are wells next to churches, schools and homes. The Southern Ute seal, proudly on display at the tribe’s museum, is bedecked with an oil rig, honoring the resource that has helped to make the Southern Ute one of the wealthiest and most self-dependent tribes in the nation. The Southern Ute created its own oil and gas company, Red Willow Production Company, 26 years ago. Since then, the tribal government has cut the BIA and BLM largely out of their operations by taking over auditing of lease agreements with other energy companies, and by creating its own air and water quality standards and monitoring of oil and gas operations. “The BIA screwed a lot of people but we don’t need them anymore. We do things ourselves here. We’re really self-reliant,” says Shane Seibel, formerly an executive with the tribe’s Growth Fund, an economic development organization that currently runs eight different companies and organizations with what Seibel estimates are more than 400 employees. And yet these days, Seibel thinks the tribe should follow the example of the Rockefellers and get out of the oil and gas business. He points out a compressor station far below us at the bottom of the valley and only two of six compressors are running, indicative of the downturn in gas production. Instead what is growing in number are the number of wells like those left inactive at Ute Mountain and Navajo. Seibel estimates that within the next decade there could be 1,000 wells that need to be plugged throughout his reservation and he predicts that at some point the tribe will spend lots of money to clean them up. Which is why, seeing an investment opportunity and a chance to “do the right thing,” he and his wife Melanie created One Enterprises, a remediation services company. 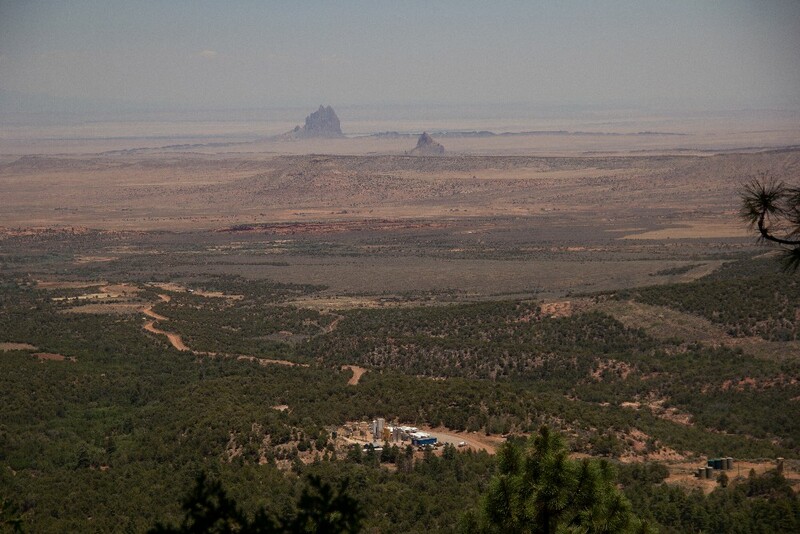 This oil well on Navajo land was first drilled in 1967 and last produced oil and gas in January 2017, according to BLM data shared with InvestigateWest. The tribe was unwilling to meet with me while I was in town and has refused repeated requests for an interview. And yet it’s clear based on recent public statements that while the tribe has successfully created a solar energy development, the Southern Ute tribe remains committed to oil and gas extraction: the tribe is working to develop a shale formation, deep beneath the reservation, which could create more than 1,500 new oil and gas wells. “These reserves will benefit current and future generations of the Southern Ute tribal membership as we focus to take this on in an environmentally, culturally, and socially responsible manner,” said Brendan Cusick of the Growth Fund at a 2016 public meeting, according to a news story in the Southern Ute Drum. Red Willow has expanded its operations far beyond the reservation into Wyoming, Texas, New Mexico and the Gulf of Mexico. Regardless of political leadership, a larger and more intractable force challenges Seibel’s cleanup efforts. The Four Corners region received less than half the normal amount of moisture last winter. In June, the rivers in the area were running low and brown, if they ran at all. The smell of smoke filled the air due to one of two wildfires burning in the mountains above the Southern Ute and Ute Mountain Ute reservations. For some well pads, Seibel may have to wait until winter to spread native seeds, when the snows give the plants a fighting chance to take root. Until then, the slopes remain scarred, their bare soil attractive to invasive weeds. Back in Red Valley, the Benallys consider the drought with the same mix of hopelessness and grit with which they consider the old stinky wells. 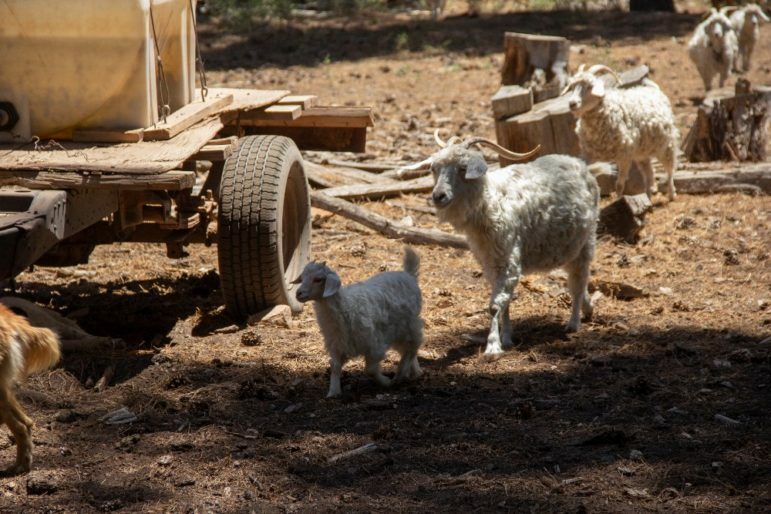 By late June, despite their daughters’ concerns about the air and water, Orlinda Benally’s parents took their sheep up the mountain, as they always have, making the slight concession to sleep in the valley below. Coming up with such a figure is challenging to say the least. What is known is: An estimated 40,000 have been drilled in the San Juan Basin. Approximately 23,000 are currently designated as actively in production. It is unknown exactly how many of the remaining 17,000 wells have been plugged: according to an Interior Department spokesman, the agency has plugged 6,000. Using state databases, I was able to determine that the State of Colorado has plugged and abandoned 519 in La Plata and Archuletta Counties, the area that covers the basin, and that as of late August, the state of New Mexico had 499 inactive wells in the basin. The Arizona State data base requires users to click on individual wells to determine their status and the geographic area possible to click on extends far beyond the basin, making its search engines useless for this purpose. These are wells in the Vernal Office designated as BIA. There are 12 additional wells in the data set designated as FEE, which could mean they belong to an individual tribal member. This is likely an undercount of the actual number of inactive wells on the Northern Ute reservation. According to Olmstead, the former BLM staffer out of the Vernal Field Office, his FOIA request only asked for a list of wells that were designated as Abandoned, which is a designation that indicates an energy company has no plans to ever produce oil and gas from this well again and that it’s slated to be plugged and remediated. That means an unknown number of wells designated as Temporarily Abandoned, Shut-In or Orphaned, could also exist. A Right-Wing Think Tank Is Trying to Bring Down the Indian Child Welfare Act. Why? A Right-Wing Think Tank Is Trying to Bring Down the Indian Child Welfare Act: Evangelical and anti-Indian-sovereignty groups, adoption advocates, and conservative organizations like the Cato Institute have united behind the Goldwater Institute in attempts to dismantle aspects of a law intended to protect Native American children. Many tribal members fear that if Goldwater is successful, it could undermine the legal scaffolding of Native American self-determination. 4. No such thing under the Constitution as a ‘sovereign Indian nation,’ or ‘Indian citizenship’ as the Constitution recognizes neither.